The conclusion of harvest marks the beginning of more time spent in the cellar or stocking up on beloved NY wines for the holidays, or uncorking the sparkling offerings from Welch’s, or just a period when things begin to slow down, and we celebrate the passing of another year with family and friends. While I enjoy many of the above-mentioned activities, my November also gets filled with end of year board meetings for the various grape and wine related organizations that I serve on as a representative of New York. I serve on the board or a committee for the following organizations: National Grape Research Alliance, Wine America’s State & Regional Association Advisory Committee, New York Kitchen, Cornell Agritech Advisory Council, Wine Market Council, and the U.S. Agricultural Export Development Council (USAEDC). And, in my spare time, I serve as a men’s neighborhood leader for my Buddhist group, which at least theoretically should help me be more centered for the aforementioned boards. During the week of November 12, I had four board meetings scheduled in Sacramento, Napa, Baltimore, and Texas. I am thankful for video conferencing technology because splitting myself in four would be difficult. 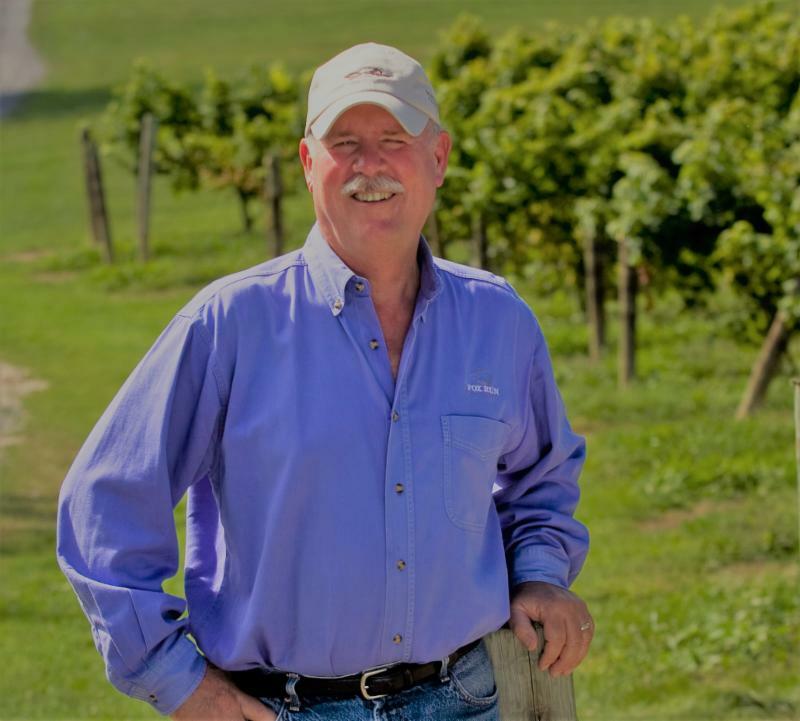 I chose to attend the three-day USAEDC conference in Baltimore, while Scott Osborn (Fox Run Vineyards) traveled to Texas for Wine America’s Fall Meeting (more from Scott below). I think that it is important for New York to participate on boards for these national grape and wine organizations. Our participation plugs us into a national community of peers, keeps New York in the conversation and in the vanguard, and exposes us to new ideas to help advance our industry. While only a handful of NY wineries export, we live in an increasingly interconnected world with wine markets expanding particularly in Asia, so New York needs to participate on the world stage to be in the conversation as one of the top grape growing and wine producing regions. I learned at the USAEDC conference that the United States leads across the board in supplying the world with high-quality, safe, and distinctive agricultural commodities. The USDA Foreign Agriculture Service has invested in developing a core of professionals who serve as in-country market experts and relationship builders. These professionals, coupled with USDA grant funding, support the market development for US agricultural products. The reputation for New York grapes and wines will grow if we continue to build our presence in international markets under the banner of US agriculture exports. It is quite an honor to be elected to serve on the Wine America board as New York’s representative. The organization represents the United States wine industry in Washington DC to help set policy and federal legislation. They stay on top of issues that will affect our industry such as taxes, music licensing, the farm bill, and excessive regulations. The board is made up of 15 members representing wineries from all over the United States, which provides the organization excellent geographic representation of our industry. Every fall, Wine America hosts an annual Directors meeting in a different wine region. Texas hosted the meeting this past month in Fredericksburg, which is part of the Texas Hill Country AVA. The main topics that we discussed at this meeting included making corrections to the 2017 Tax Cuts and Jobs Act of 2017. Hopefully, our federal legislators will make a technical correction to the Tax Cuts and Jobs Act of 2017, which will remedy the problems that occurred when they passed the original bill. We also received on update on the Farm Bill, which is expected to be passed before December 7th. And, there was plenty of discussion about the ADA compliance issue and the pending lawsuits. The conclusion about the website issue is that everyone needs to get working on their website and pretty much adhere to the Web Content Accessibility Guidelines. (WCAG). In addition to the Wine America meeting, my wife Ruth and I were able check out some of the Texas Hill Country wineries; and we tasted some pretty nice wines. Wineries in this AVA are focusing on some rather unique wine varietals than we produce here in New York. It seems as if Tempranillo and Tannat are the two reds and Roussanne is one of the whites the wineries seem to be doing quite well with. All and all a very good trip. Congratulations Scott, and thank you for representing New York.